Realtors sell real estate… sounds simple… but it's so much more! Real estate represents being a part of something bigger, a neighborhood and a community. 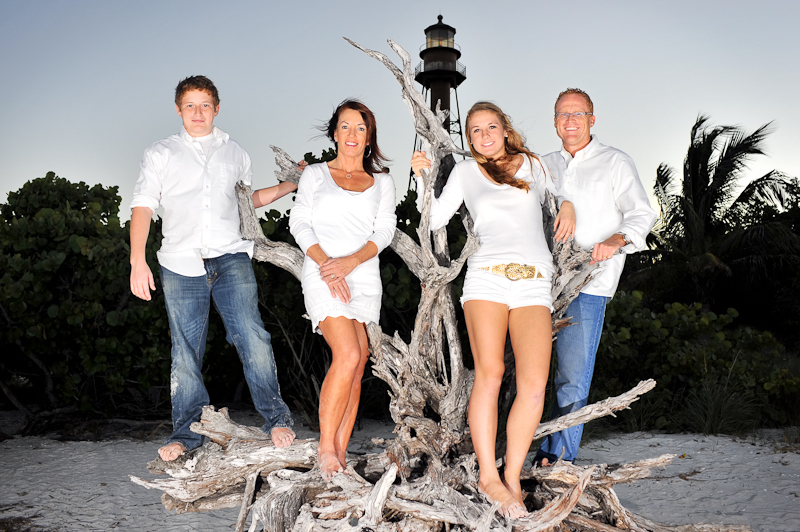 On Sanibel and Captiva Islands we have a great community that is not just a series of neighborhoods gated and isolated from other neighborhoods, we are all neighbors here on the islands and is shows anytime you attend a community event. Our island community is preserved and enhanced daily by countless hours given in service by the great non profits here. From F.I.S.H. helping fellow neighbors in need to CROW tending to animals in need, SCCF setting aside valuable conservation lands, the Ding Darling Wildlife Society promoting wildlife education and programs, The Sanibel Historical Village preserving our pioneer history, the Sanibel Sea School actively teaching ecology in hands on study, and the Sanibel Community House providing a place for us to gather, or the Bailey Matthews Shell Museum educating us on the wonders of the mollusk world, to BIG ARTS providing the islands with cultural programs year around. Our community is OUTSTANDING because of the efforts of everyone involved in these organizations. Pfeifer Realty Group is proud to support them at every turn. 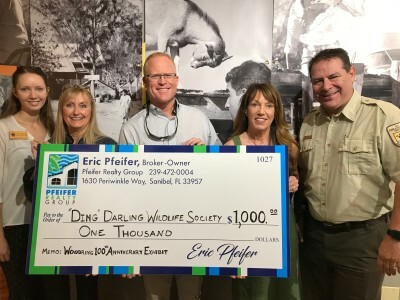 Pfeifer Realty Group, launched their 2019 Community Support Campaign with a $1,000 contribution to “Ding” Darling Wildlife Society (DDWS) to help fund the Woodring 100th Anniversary Exhibit. Unveiled to the public at the Visitor & Education Center on January 23rd, The Woodring Exhibit celebrates 100 years of Woodring Point history through the lens of the late iconic photographer Charlie McCullough as well as artifacts from both the Sanibel Historical Museum and the Woodring homestead. 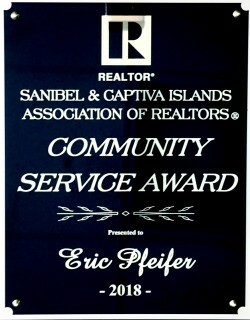 Eric Pfeifer, Broker/Owner of Pfeifer Realty Group was selected to receive the Sanibel and Captiva Islands Association of Realtors’ Community Service Award by fellow Honor Society Realtors and Brokers. This is the 6th time Pfeifer has received this annual award in recognition on his Community Service. Each year the Sanibel Captiva Community Service award is presented to the Agent or Broker who actively volunteers their time and talents in many areas throughout the island community. 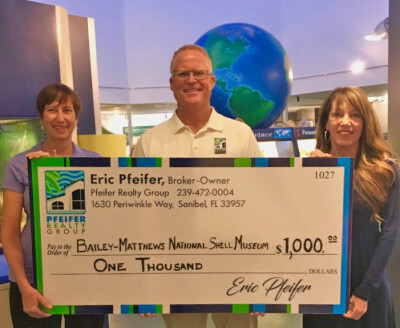 On January 15th, 2019 Eric Pfeifer the Broker/Owner of Pfeifer Realty Group was unanimously appointed to the Sanibel Planning Commission by Sanibel City Council Members. What is the Sanibel Planning Commission? The objective of the City Planning Department along with the Planning Commission is to further the welfare of Sanibel citizens by helping to promote a better, more helpful, convenient, efficient, safe and attractive community environment to insure that the unique and natural characteristics of the Sanibel Island are preserved. 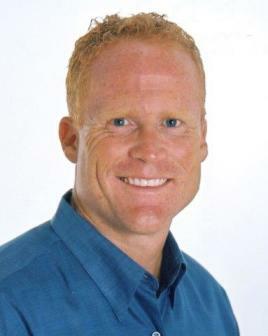 I specialize in representing my clients in the purchases and sales of homes, condominiums and land for use as primary homes, vacation properties, second homes, investments and income properties within the cities of Sanibel, Captiva, Bonita Springs, Fort Myers, Fort Myers Beach, Cape Coral, and Naples. I keep current on all transactions in these areas. As a parent and member of the Sanibel Parks and Recreation Committee, I'm very knowledgeable of our local schools and political issues which affect the communities and their real estate markets. We harness the power of Zillow! In January 2016, Eric and Mary Ellen Pfeifer were asked to join a group of Agents nationwide that Zillow identified as their top producers. Zillow's first Tomorrow Summit meeting was held in Miami two months later. 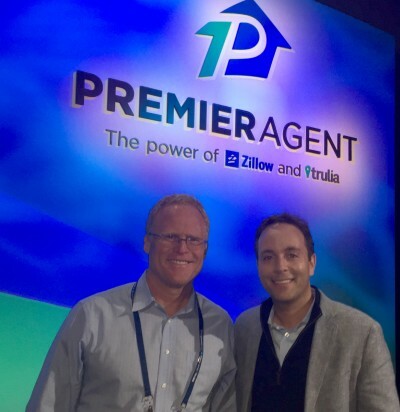 During the 2 day event Zillow top executives unveiled several new features, product launches, and beta testing programs. 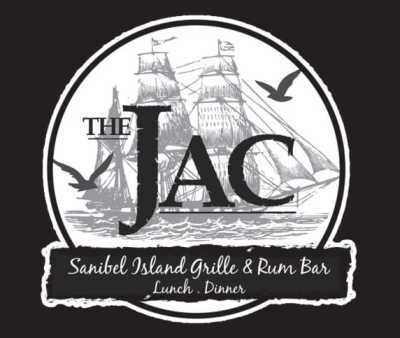 Eve Alves, owner of Sanibel’s newest eatery, The Jac Island Grille & Rum Bar, has already shown her true Island colors, by donating the old Jacaranda Restaurant’s iconic sign to The Kiwanis Club of Sanibel & Captiva. The emblem will be offered at auction during the Club’s annual Spaghetti Dinner, in February 2019. Alves, who opened “The Jac” in May, expressed excitement at becoming “an active member of the Sanibel community. Donating the Jacaranda sign to help the Kiwanis Club’s charitable efforts launches my commitment to the Island that has so warmly welcomed me and my staff,” she said.